fruit loops | what is clara eating today? i make these fruit loops before going on a family trip. 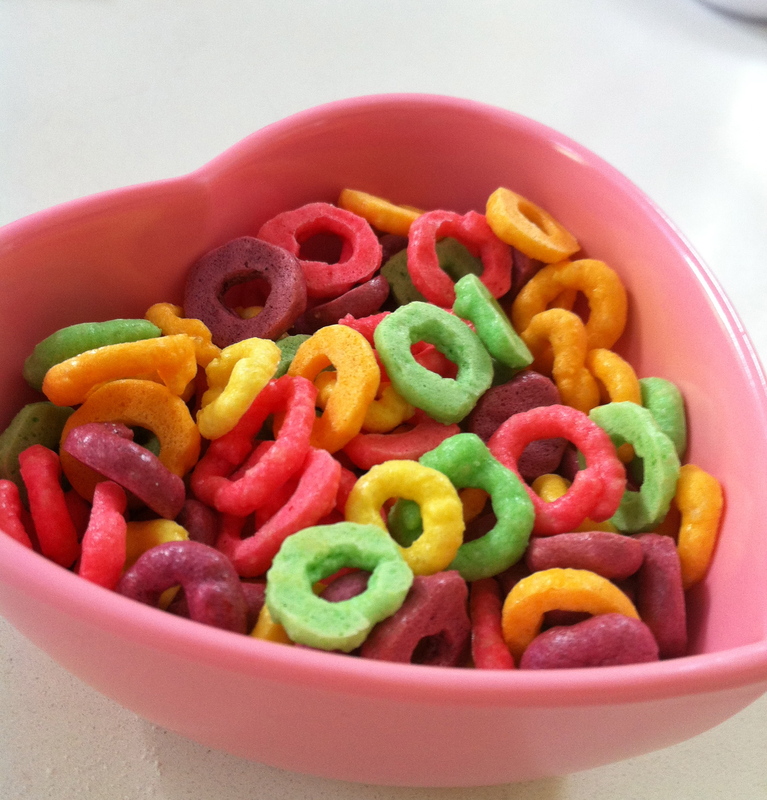 most hotel breakfast will have cereals as an option for breakfast and my older daughter always picks fruit loops, and that used to make clara really sad… but now, clara can have her own fruit loops on vacations. it is tedious to make these little circles, but it is worth the time and effort to see the big smile on clara’s face. this also can be used for some fun activities such as making fruit loop necklace using a string or sliding them through a kebob sticks with some berries. mix the dry ingredients together. mix in the wet ingredients. divide the batter into 3-4 portions depending on the number of colors you have prepared. mix in the jello/crystal light. pour the batter into pastry bag with a small tip (about 1/4in). on baking sheet lined with parchment paper, squeeze out the batter into small circles. Posted in breakfast, snacks, something fun! I tried making this at home, it just all melted together. Do I need to whip the egg white to a stiff first? Are they crispy like the fruit loop cereal? My son would love this, I want to surprise him with these. I wonder what happened. It should hold the shape pretty well. was the butter just softened at room temperature? i didn’t whip the egg white first since it is only 1/6 of an egg, just to hold everything together, but i guess you can try it. The fact that you would go to so much trouble for your child is a real inspiration. Incredible. I’m browsing your recipes for low-carb ideas and you really blow me away. Kudos to you. The girls are lucky to have a mom like you. This looks very good and I can not wait to try this!.